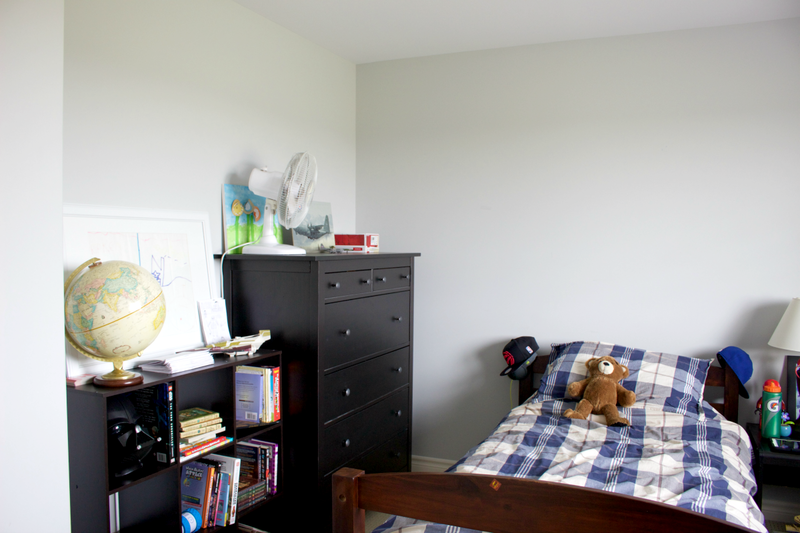 elliven studio: Kid's Bedroom Makeover - The Before! 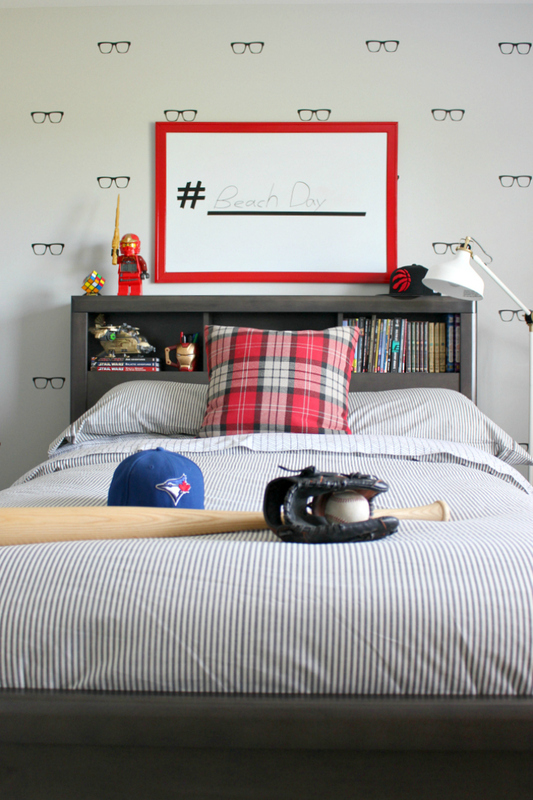 Earlier this week I shared a picture of kiddo 2's bedroom makeover, which you can find here! I thought it would be fun to share a few before pictures too! 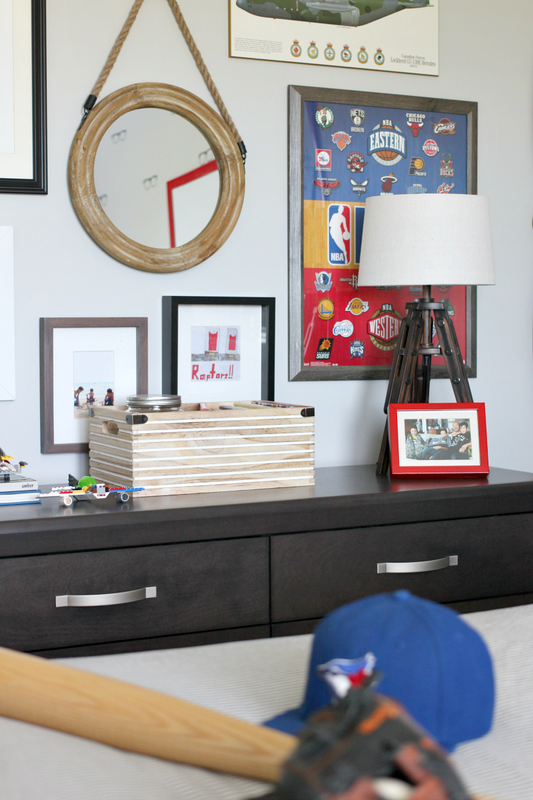 This room makeover was fun! 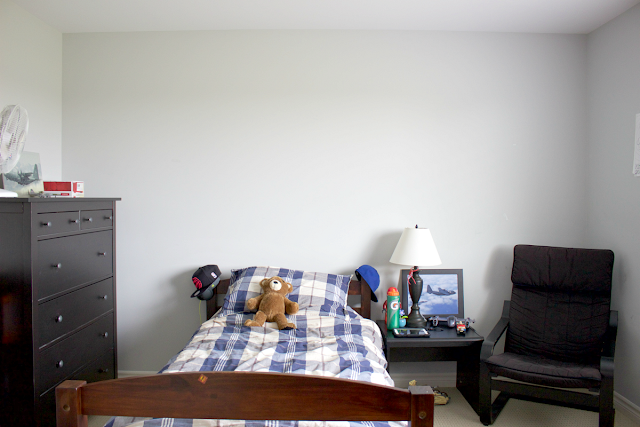 Kiddo 2 loves to read, to draw and build lego, so we made sure to design a space that would allow him to do all three. He really wanted a black and red colour palette, and with his permission, I added touches of grey and white. I love how the room came together and it was fun to pick his brain to find out how he was envisioning the finished space. The glasses decals are so amazing! They were easy to apply once I figured out the spacing. A long level was the key to making measuring an easy task. Decals are a great option because they are inexpensive, customizable and they can be removed in a breeze! You can find the glasses decals here. Head on over to the Hello Sunshine Lookbook (90 pages of inspiration!!) to see the finished space! Thank you for sharing! I will check the Lookbook for inspiration!